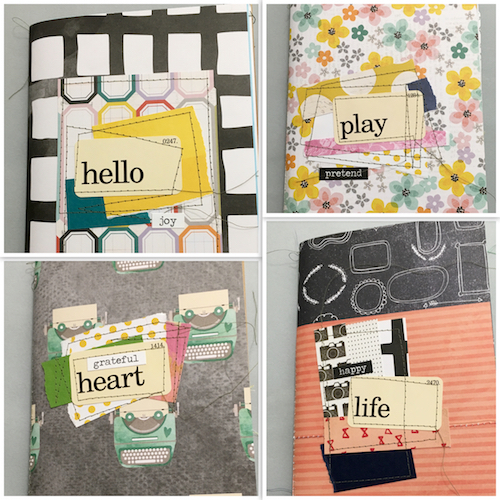 More notebook covers to inspire creative play and the capturing of joyful moment. 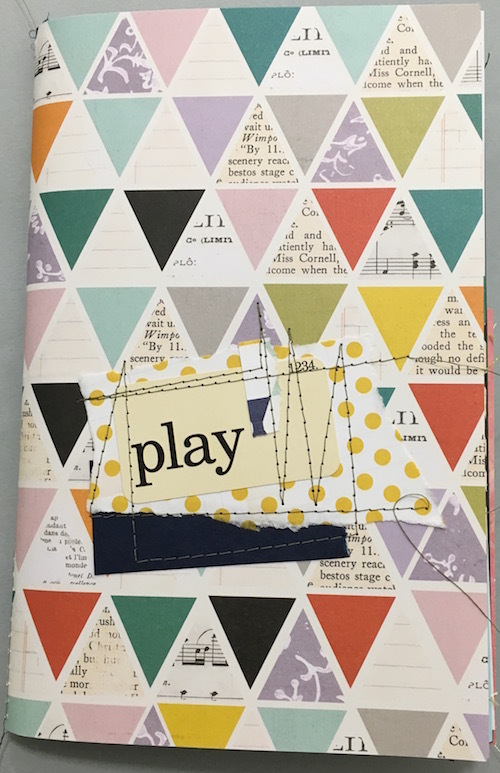 Play pretend is resonating with me today – I’m pretending my husband and I are well and not waiting for our bodies to finish battling the virus that is attacking them. 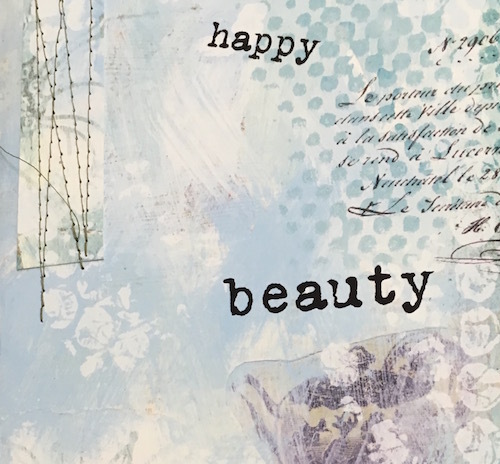 I’m grateful for Netflix and novels – they pass the time when we’re not sleeping. I’m hoping to awaken feeling better tomorrow. Sometimes I get to sew on samples while I work at the quilt shop. This is fun, but I find I don’t have the same ‘need’ to get into my studio like I did when I worked an office job. 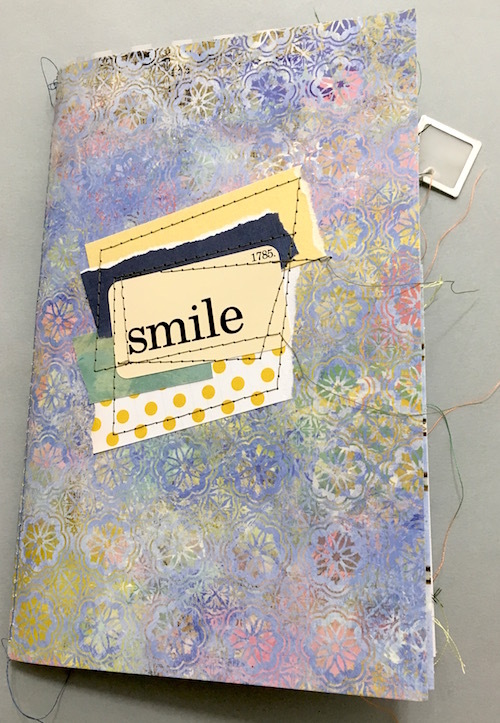 Instead of forcing the stitched magic, I’ve been creating with the computer or cutting, sorting and folding paper for more journals. 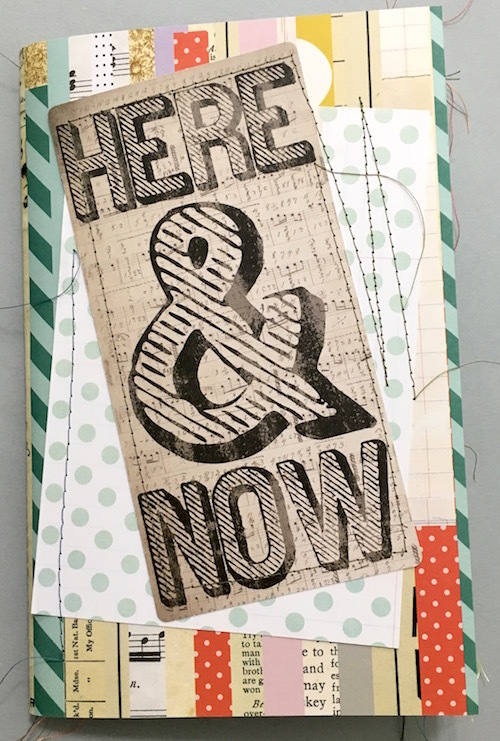 Sometimes I need a reminder to stay present and focus on the moment – the here and now. 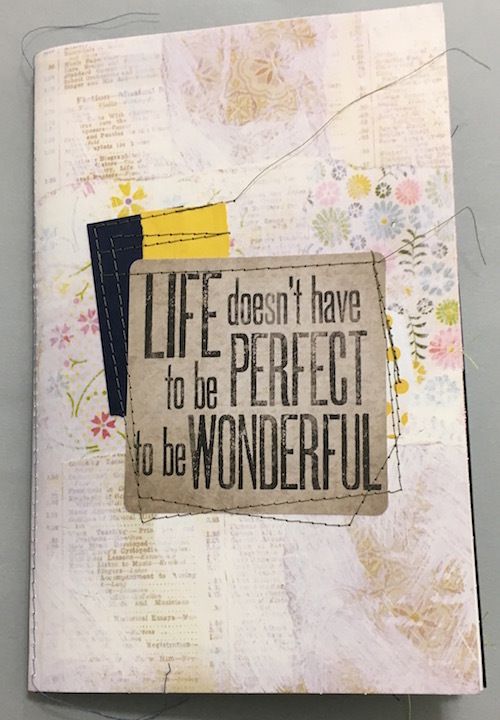 This notebook cover is a great reminder! 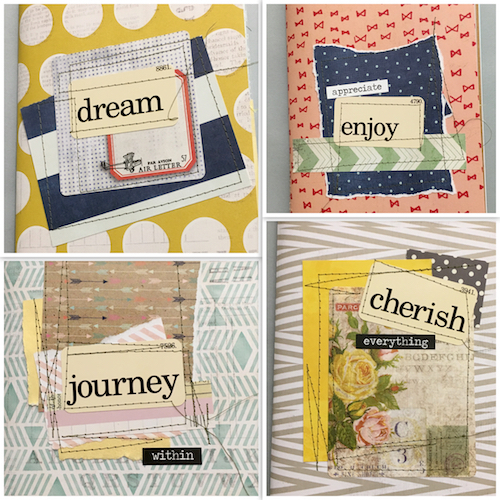 These covers make me want to jot down ideas for my next stitched projects or collecting bits and baubles I have found. 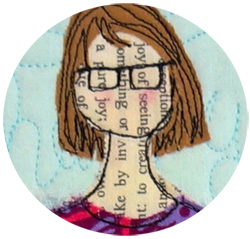 I do enjoy playing with paper and stitching. 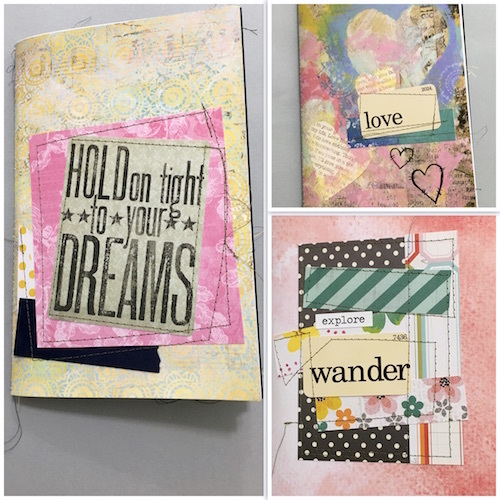 I found some great journal cards to use in my paper collages. This is one of my favorites! Today was just such a day. 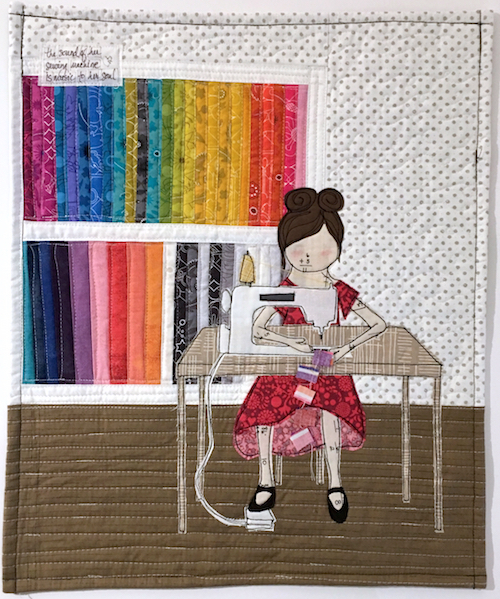 I had plans for a perfectly productive day, instead there was napping and procrastinating via stitching on quilts for warmth – that was wonderful too – maybe more so since it nourished my soul. 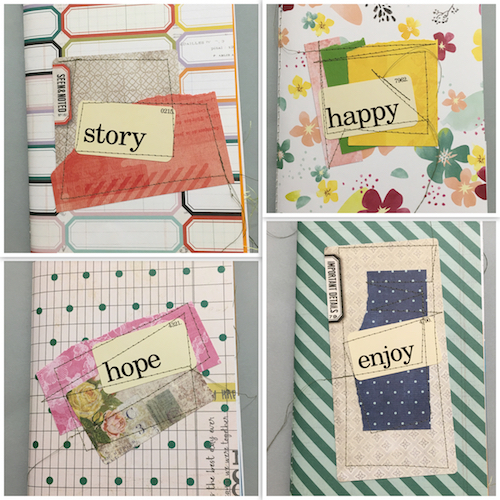 The top left and bottom right notebook covers are great scrapbook papers I found. 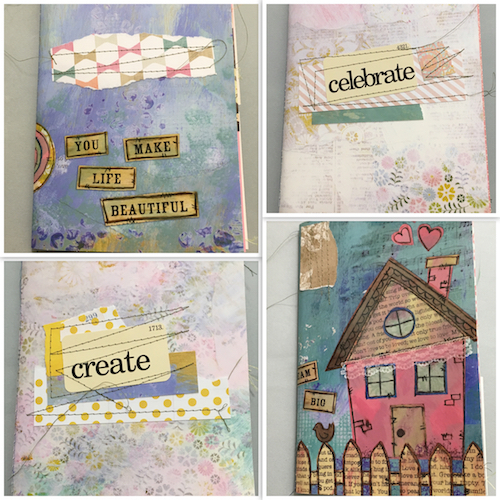 I embellished them with a bit of extra paper and stitching for added texture and interest.